Remeo Oy, formerly known as SUEZ Finland, has renewed its name and brand during the first half of 2017 as part of its move to Hartwall Capital’s ownership in late 2016. The Latin translation of the new name is ‘return’, which together with the slogan – Ajattele. Uudestaan. (translation: Think. Again.) – tells about Remeo’s role in advancing the circular economy and the development of a resource-saving society. Recycling is a growing phenomenon and business activity. The circular economy is also one of the government’s top projects and has significant growth potential. “Hartwall Capital is a long-term Finnish owner and we want to support the growth and development of Finnish companies in the long term,” says Salokangas. Remeo’s CEO Jorma Kangas sees the ownership change as a starting point for a strong development stage in the company. “A strong and involved domestic owner provides an excellent base for Remeo’s long-term development. Hartwall Capital is actively contributing to organic growth, and suitable acquisitions for are also clearly on the agenda. The recently renewed Public Procurement Act and the ongoing reform of the Waste Act will further open up the market and create opportunities for free competition.” says Remeo CEO Kangas. 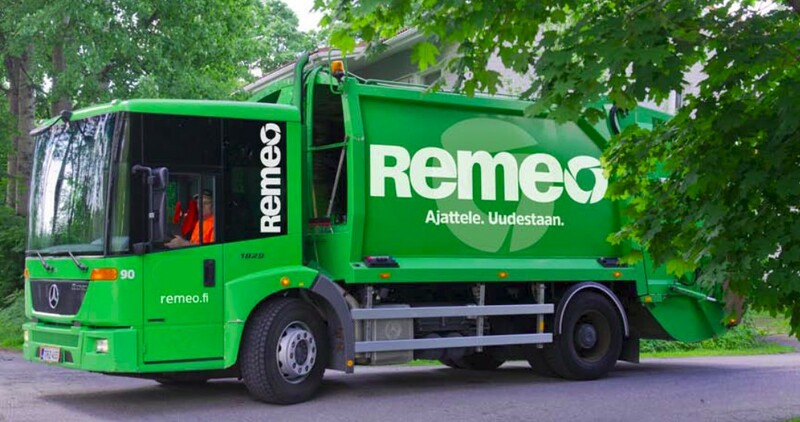 Remeo employs around 350 waste management professionals and the company’s net sales in 2016 were approximately 74 million euros. Remeo operates a fleet of over 200 specialty vehicles. Remeo has offices in Vantaa, Riihimäki, Tampere, Heinola, Lahti, Porvoo, Kotka, Turku, Vaasa, Uusikaupunki, Lappeenranta, Seinäjoki, Vihanti and Ylivieska. Remeo has nine recycling and pre-treatment facilities throughout Finland. Materials recycled and pre-treated at the plants are delivered to the appropriate final processing or utilised as industrial raw materials.